A beautiful, strange story that is rich with emotion. Sally Hawkins, who plays the mute janitor, is excellent and high on my list of possible Oscar winners for her role. The supporting cast are also great. Guillermo del Toro (Pan’s Labyrinth) brings his unique visual style to the direction with respectful nods to monster movies and Cold War paranoia. 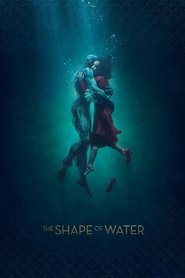 But THE SHAPE OF WATER has a contemporary feel with deep emotional resonance. The story is a mixture of realism and fantasy and ‘the asset’, the amphibian kept in captivity, is entirely believable. A good contender for the best picture Oscar, it’s definitely worth the time to see it.